I am a Tarantinophile. I can vividly remember the first time I saw a Tarantino movie. I was fourteen years old, and my family had gotten one of those super cable packages that included HBO, Showtime, and Cinemax on demand. Ironically it was my mother, a woman who vociferously hates cursing and violence, who recommended Pulp Fiction to me. I reluctantly tuned to the uncensored HBO showing of this film expecting a miserable affair, but I was instantly hooked by Tarantino’s trademarks: witty banter, extreme violence, bizarre circumstances and situations, and above all his love of movies. Having said all that, The Hateful Eight, is not my favorite Tarantino film. It has the pomp and circumstance of his latter releases (Inglourious Basterds, Django Unchained), yet it suffers from what I’d term a ‘reverse Kill Bill’, with much of the setup coming in the first half, and much of the brutal violence coming in the second. 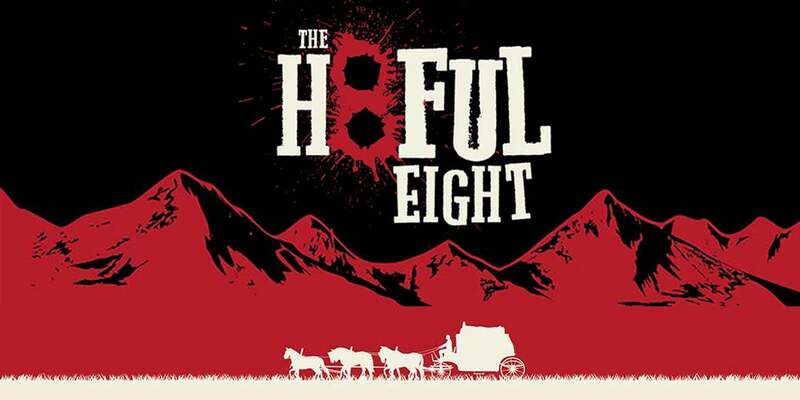 The Hateful Eight, like most of Tarantino’s films, is a unique violent medley but it’s not among his best. The film’s interesting premise is let down by a plodding first half which is punctuated by an extremely bizarre scene.